Magic: The Basics is a concise and engaging introduction to magic in world history and contemporary societies. Presenting magic as a global phenomenon which has manifested in all human cultures, this book takes a thematic approach which explores the historical, social, and cultural aspects of magic. an exploration of magic’s association with certain social factors, such as gender, ethnicity and education, among others. 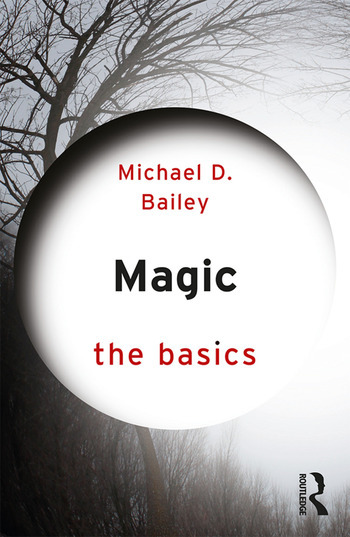 Offering a global perspective of magic from antiquity through to the modern era and including a glossary of key terms, suggestions for further reading and case studies throughout, Magic: The Basics is essential reading for anyone seeking to learn more about the academic study of magic. Michael D. Bailey is Professor of History at Iowa State University. He is founding co-editor of the journal Magic, Ritual and Witchcraft and has published extensively on the history of witchcraft and superstition in medieval Europe.